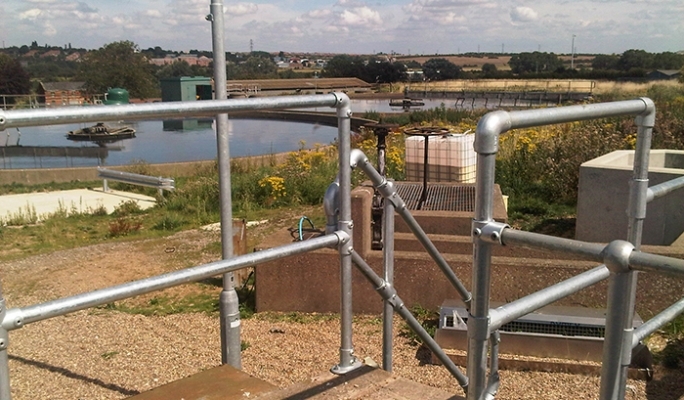 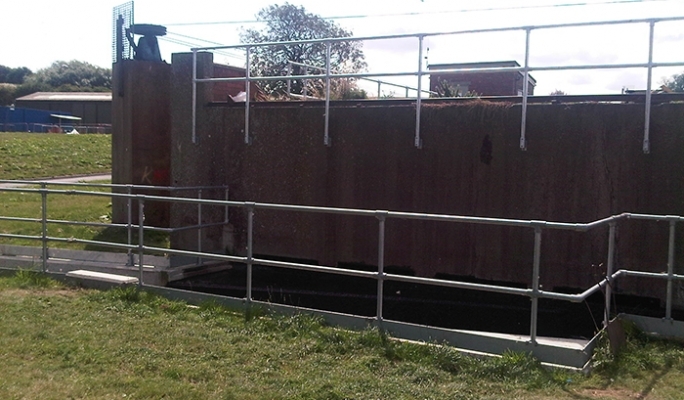 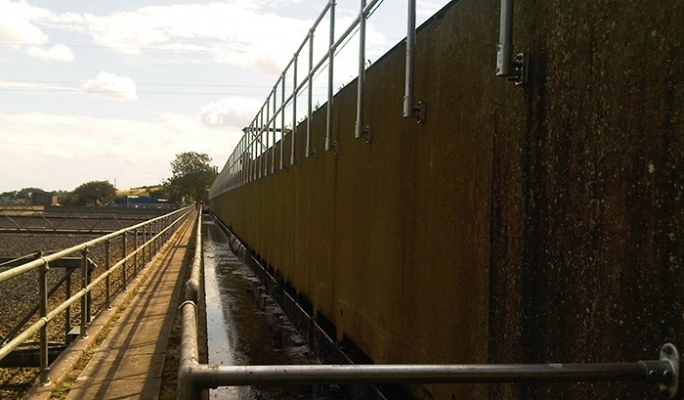 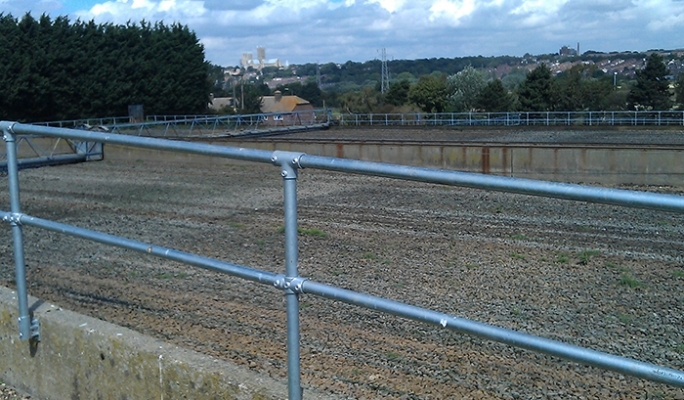 Kee Safety has recently supplied KEE KLAMP fittings to our distributor for cosntruction of handrailings at a Sewage Treatment Plant. 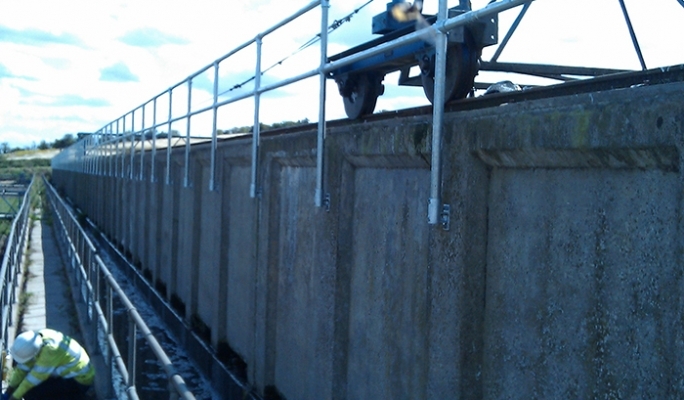 The job consisted of approximately 800 lineal metres of KEE KLAMP twin rail that was side fixed using KEE KLAMP components type 64-8. 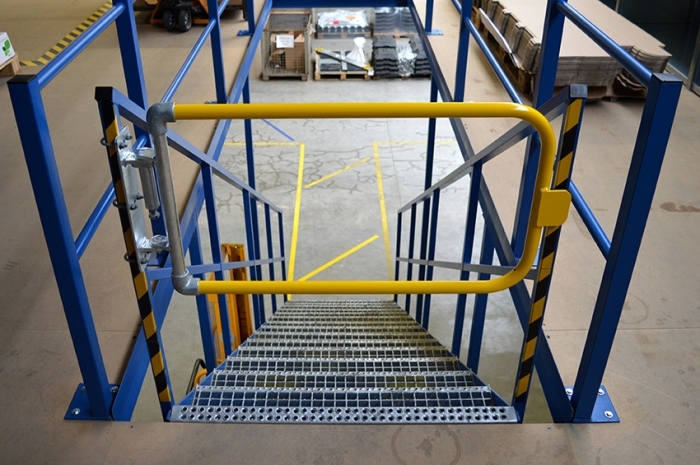 We also used special packer plates in conjunction with the 64-8 to increase the offset of the handrail, to avoid the guardrail clashing with the sprinkler system that runs across the walls.